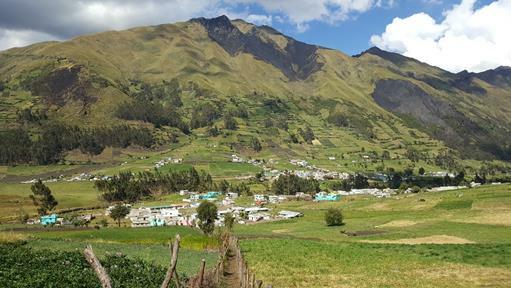 The majestic andean community of Alao, Ecuador. When our team drove up to the village of Alao we saw fires burning on the mountain side. 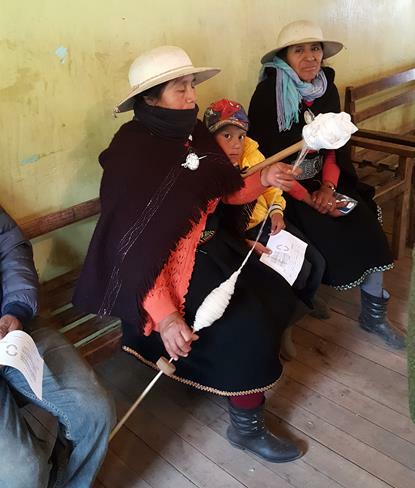 It brought back to mind the fires of persecution that blazed across the Andes when the Quichua people first responded to the Gospel back in the 1950 and 60's. 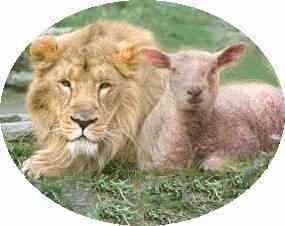 Fierce persecutions paved the way for the second and third generation believers. Even today, there are still pockets of persecution against new mission startups. 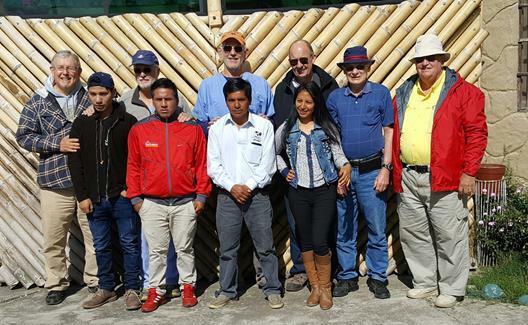 Please continue to pray for these new mission projects and mission churches. I was recently asked to encourage a group of new believers being persecuted for their new found faith in Christ. There is no greater joy than preaching the Good News where it has never been presented before. 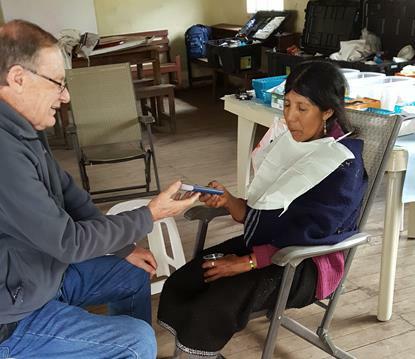 October 28 - November 5, 2016, Abide in Christ dental-evangelism team presented the Gospel of Jesus Christ in mountain villages where the Gospel has never been shared. 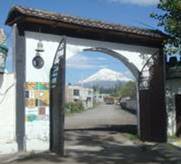 Alejandro Guacho made several trips to a mountain village God had placed on his heart. He visited leaders in the community and prepared the way for the evangelism team. 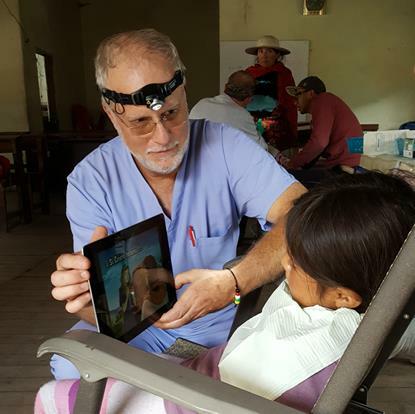 Alejandro sharing Christ with dental patients at Alao. 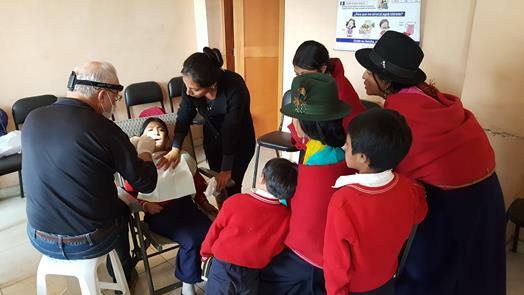 During the week our team saw 100 dental patients and 109 individuals put their faith in Christ as their Savior. 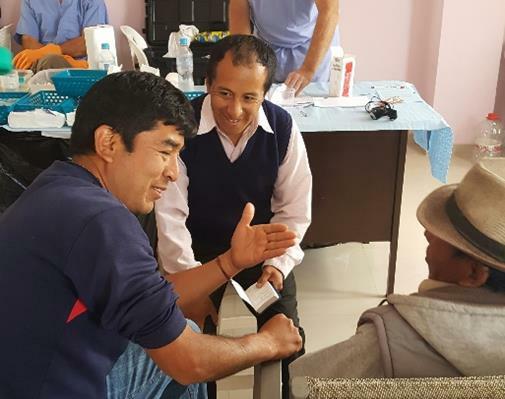 Alejandro will return to Alao each Sunday to continue this new mission work. 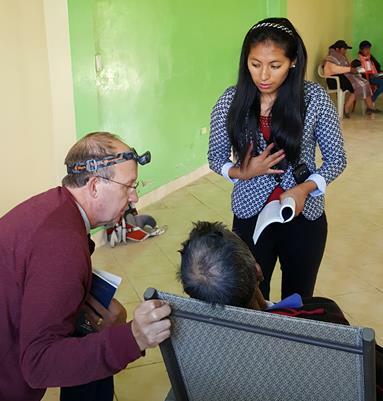 Peniel Theological Seminary students are also involved in this outreach as field mission assignments. 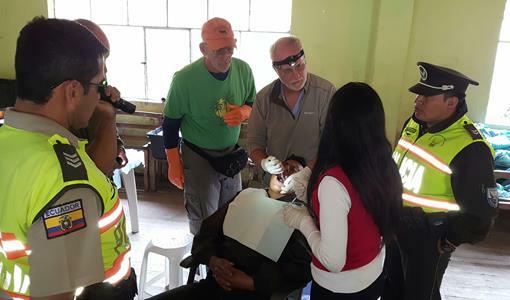 Two Christian dentists sharing Christ along side the president of an evangelical seminary. 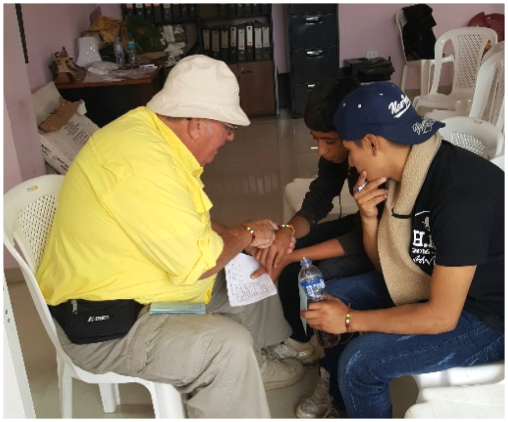 Jerry using the salvation bracelet to share the plan of salvation with a young man who accepted Christ as his savior. 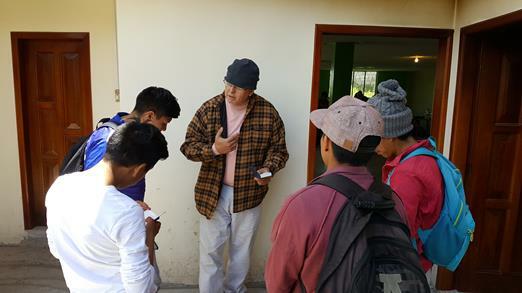 Don Dumas, a Christian pharmacist, sharing with young men at entrance to dental clinic. "Medicine is a magnet that draws people to Christ." It opens doors to a vibrant loving witness to God's saving grace through Jesus Christ. Dr. John Howell and Bill Clements sharing Christ with a policeman who needed an extraction. Bill is one of those faithful servants who works in the background to keep the dental equipment ready for dentist all day long. The team would not be possible without his vital ministry. 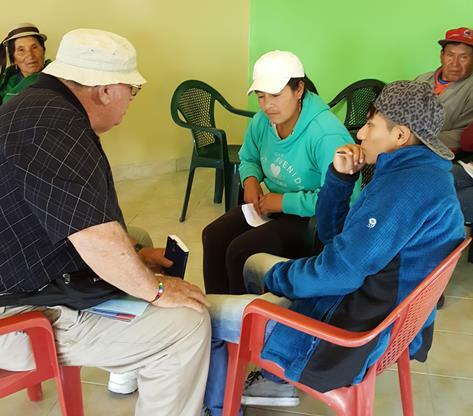 Wil translating for Dr. Cain at the Saturday morning classes at Peniel Theological Seminary in Riobamba. 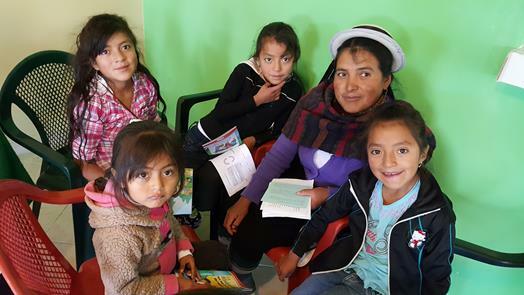 The Ecuadorian members are a vital part of this dental evangelism team. I get to share Christ with patients, too. I enjoy translating for dentists and presenting the plan of salvation. 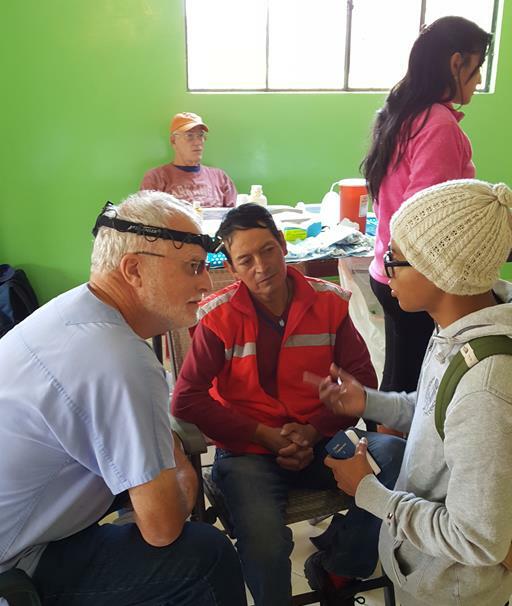 Dr. Howell and Israel sharing Christ with a patient. 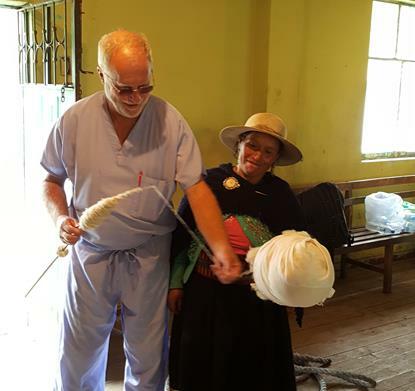 Dr. Caine witness to a patient with his translator Lourdes. 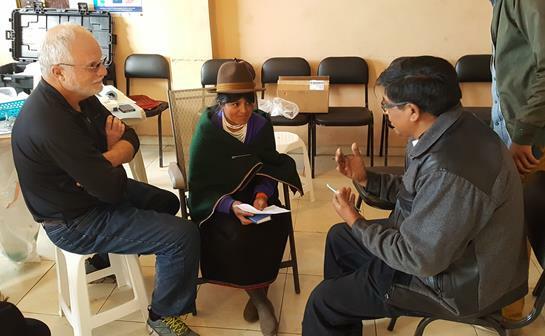 Dr. Caine and his translator Lourdes rejoicing with a new believer in Jesus Christ. 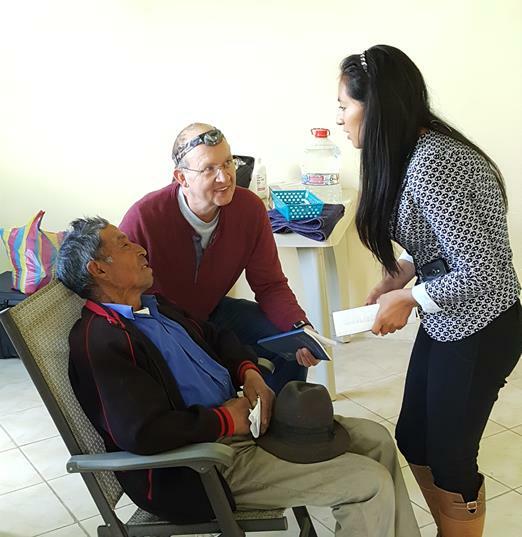 Dr. Howell and Alberto Coopa share Christ with a patient. Alberto is the Rector at Peniel Seminary. Caring, patient, Christian dentist calms a frightened child. Thre is something about the story of Jesus that heals. It takes this woman two months to make a poncho from scratch. Let me try that. Wow. John you did it! 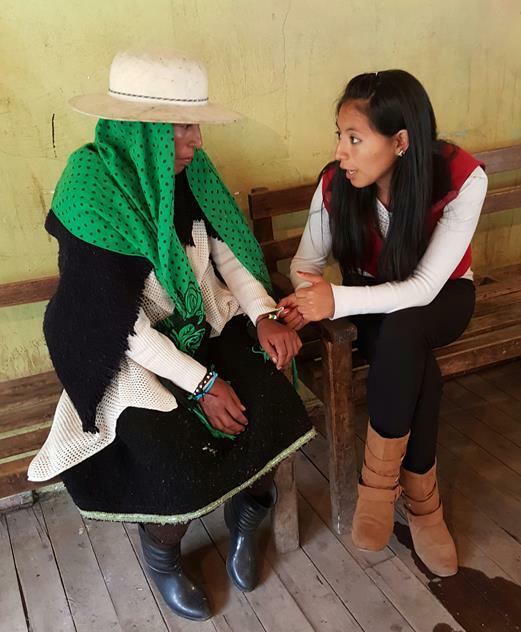 Lourdes sharing Christ with a patient using salvation bracelet to go down the Roman Road. 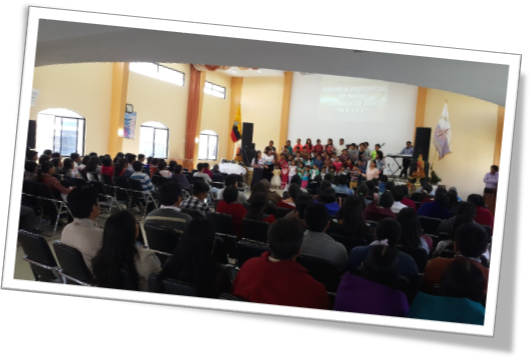 Wil preached at Jesus Christ the Liberator Church on Sunday afternoon, and at the Genesis Quichua Bilingual Church on Sunday evening. 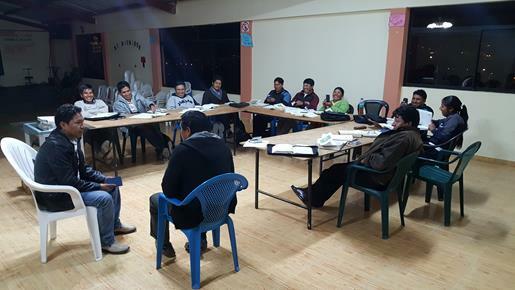 On this trip Wil also taught the 40 hour Peniel Seminary course on Salvation at the Yaruquí extension in Quito. 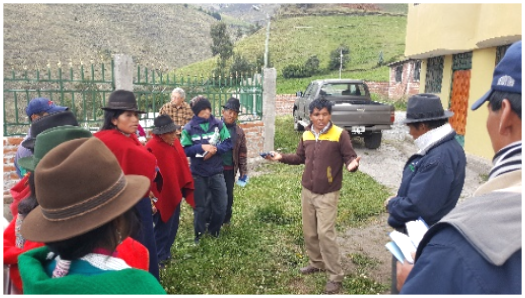 Student demonstration on personal witnessing in the course on salvation at Yaruqui extension. 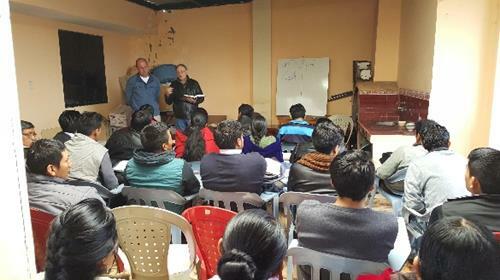 Wil, Alberto Copa, Damaso Francisco and Alejandro Guacho presented workshops on leadership and sound doctrine in a Quichua church in the city of Babaoyo. 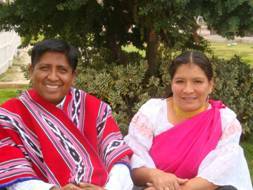 Please pray for the leadership in the Quichua churches in Babaoyo. Abide in Christ retreat for the directors and professors at Peniel Theological Seminary provided encouragement as they begin a new year of ministry. Let's do it again. Part of the Alao team. 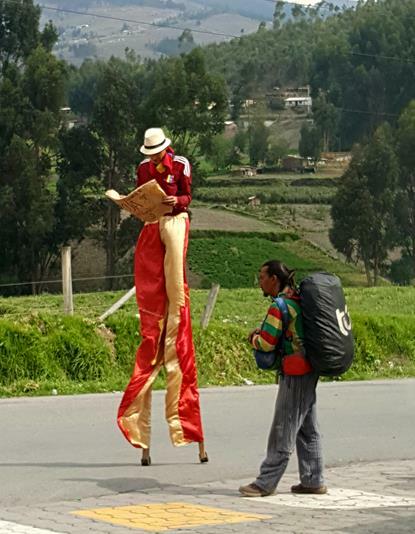 Always some surprises along the way on a good trip. 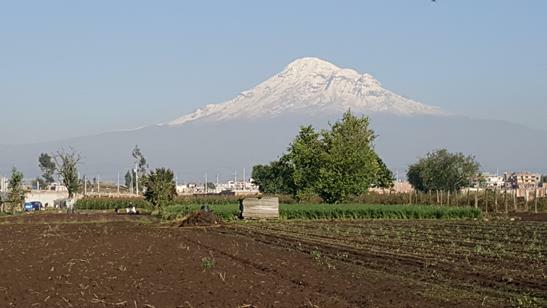 Majestic Chimborazo on a hazy morning over Riobamba, Ecuador. Pray daily for the work in Ecuador, Honduras, Nicaragua and india. 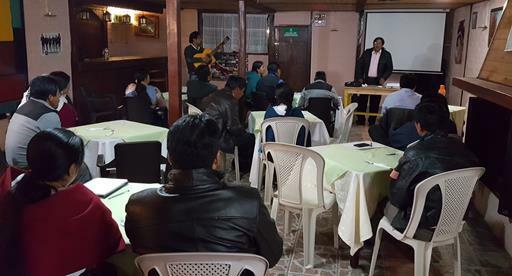 Pray for Evangelism Workshops with Ecuadoriand and Honduran Baptist pastors.